Intel has to keep a close watch on China, where an architectural battle could break its dominance in servers. Intel chips based on its x86 architecture are used in most servers worldwide. But the Chinese market is growing, and could kick-start emerging server architectures like ARM and IBM-backed OpenPower. Intel took a step to defend its server chip business in China on Thursday, saying it will deliver custom processors to Chinese companies through a partnership with Tsinghua University and Montage Technology Global Holdings Ltd.
Intel's announcement comes days after Qualcomm said it had forged a $280 million alliance with Guizhou Huaxintong Semi-Conductor Technology to license ARM-based server chip technology to Chinese companies. Partnerships or joint ventures are the easiest ways for hardware companies to do business in China. "It's almost a prerequisite," said Jim McGregor, principal analyst at Tirias Research. The Chinese server market has the potential to be much bigger than that in the U.S., where Facebook, Google and Amazon are building mega data centers. Chinese companies like Tencent, Baidu and Alibaba have comparable data centers, and demand for data center equipment is growing at an amazingly fast pace, said Nathan Brookwood, principal analyst at Insight 64. China is on its way to becoming the world's biggest computer market, and there's a growing demand for PCs, tablets and mobile phones. A huge back-end infrastructure is still being built out to serve those devices, so there's an opportunity for companies making chips based on ARM and OpenPower to grab a piece of this growing market and erode some of Intel's dominance, analysts said. More specifically, China represents a big opportunity for chip makers to sell processors used in the communications, networking and storage equipment that are being manufactured to meet those growing data-center needs. Right now ARM and OpenPower are in just a few servers. But as Chinese manufacturers ramp up to meet growing demand, they could expand their use of ARM and OpenPower chips. Unseating Intel will still be a big challenge, but ARM and OpenPower have some advantages in China. ARM and OpenPower are based on open architectures, so manufacturers who license these architectures to create customized designs could then, in turn, license such designs to Chinese chip companies. This is an attractive proposition for Chinese companies: chip makers could license the designs and then undercut Intel, and server makers would then have alternative sources for processors, which they could then use as leverage in negotiations with Intel. China-based server makers are important customers for Intel because Chinese companies prefer buying from local manufacturers for pricing and security reasons. Another issue for Intel is China's crackdown in recent years on monopolies. For instance, the government fined Qualcomm, which dominates the mobile chip market, $975 million for anticompetitive behavior. 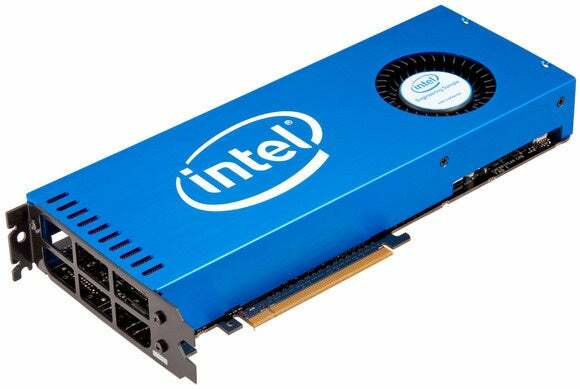 Intel needs to treat competition in the server market cautiously, leaving some space for the adoption of ARM and OpenPower architectures. To help fend off trouble, Intel has built goodwill with the Chinese government by building a chip factory in Dalian and helping build a strong PC and tablet ecosystem in Shenzhen. Intel has also partnered with Chinese companies like RockChip to make mobile chips, a further sign that the company is not resting on its laurels in the server market, McGregor said. Over time, the China chip battle will only get interesting. "There's room for all the players," McGregor said.